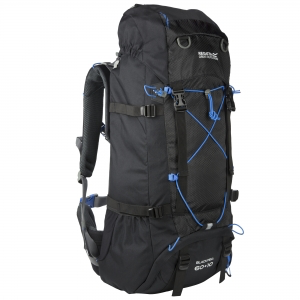 The spacious Survivor expedition rucksack with up to 65-litre capacity. 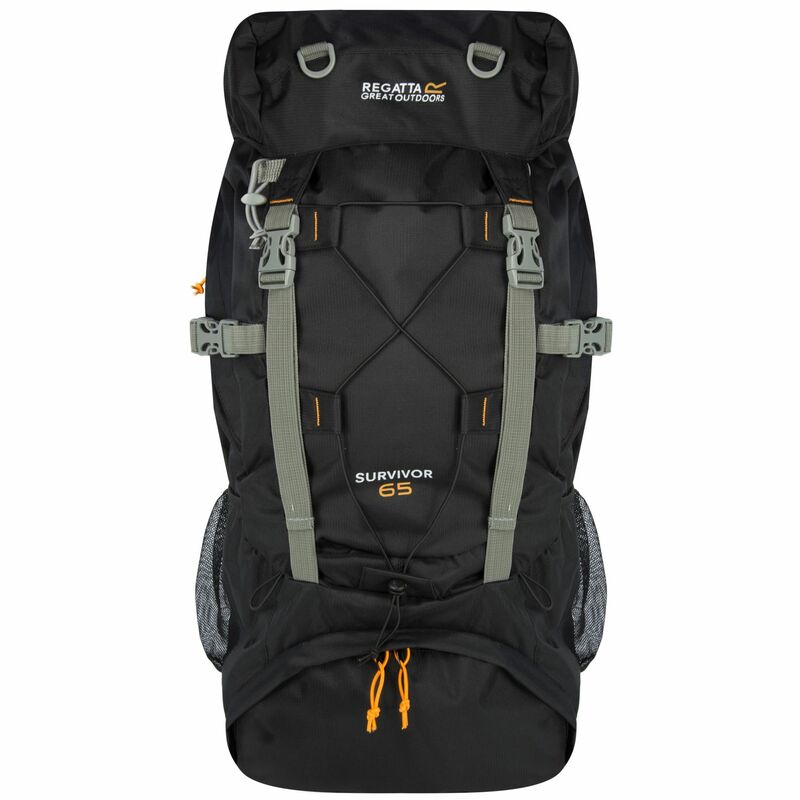 A durable and well-organised backpack for camping trips and travelling (including any Duke of Edinburgh expedition). Made from tough-wearing ripstop fabric with a mesh back construction for cooling airflow. 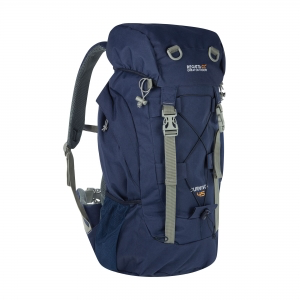 Weight is carefully distributed and stabilised with an internal metal frame and adjustable chest and hip belt. 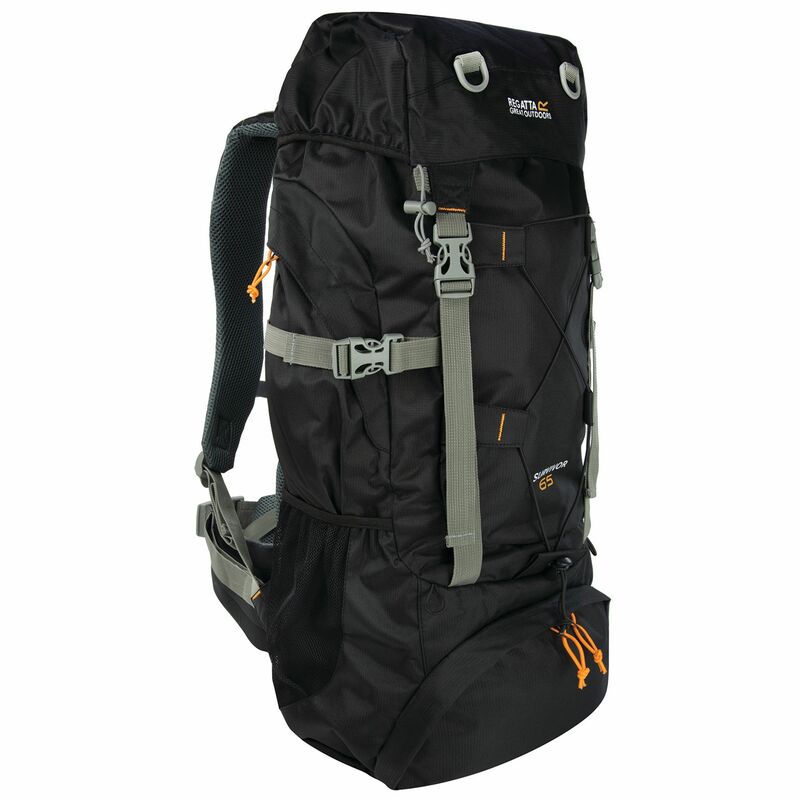 On the side, you'll find two zipped pockets, mesh water bottle pockets and bungee walking pole holders. The detachable rain cover provides reliable protection.